Settled in the middle of Paris 150 meters away from the south-west to the Opéra Garnier you will find the Fragonard Perfume Museum. 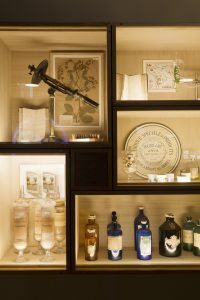 Unique in its kind, the Fragonard museum of perfume is absolutely worth a visit during your stay in Paris, ParisByM will explain to you why. 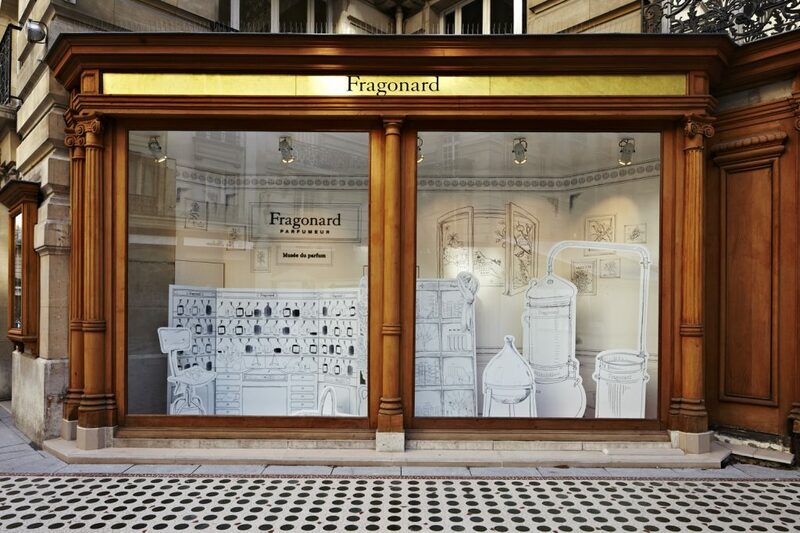 The first reason that you should visit Fragonard Museum of Perfume in Paris is for its historical background. In fact, the original form of the museum was a theater built at the beginning of the 1880s. The “Eden Theater” used to be a showplace with exceptionally large halls and rooms with designs and decors trending at that time. Eventually, the Eden Theater was forced to close because of a haphazard management which converted the theater into a bicycle merry-go-round. As the bicycle was a modern way to move at the time since a lot of Parisians came to learn how to ride a bike. Afterward, the place was taken over by the famous English furniture dealer Maple & Co, and it wasn’t until 2014 when they transferred the key to Maison Fragonard. Going to the Fragonard museum of perfume in Paris is, first of all, a good way to get to know a great brand of perfumery. The brand’s name “Fragonard” was chosen after Jean-Honoré Fragonard, who is a famous painter born in Grasse, a town in French Rivera. This small town in the south of France is considered to be the cradle of French perfumery. As a result, Fragonard carries the same perfume quality as Grasse and the refinement of 18th-century arts. Similarly, it expresses its desire to run the business in accordance with its tradition. The exhibits of the museum might be the most telling argument. The museum truly possesses various and precious perfumery-related objects and raw materials, which dates from Antiquity to the 20th century. Passing through the chronological order, the large collection provides us with a clear vision of its different uses and other various aspects of perfume. There are, for example, scent boxes, bottles in blown glass, potpourri used at the court of the king Louis XIV, composing the dazzling collection. Moreover, the collection has been constantly enriched by the Maison’s current directors. Despite the delicacy of the museum, it is not complicated at all to visit it! If you want to visit the museum, there is no need to book, additionally, the admission is free for everyone. If you are a foreigner, there is no problem because they have free guided tours as well which might be available in your language. The museum makes the guides speak different languages available for you, options vary from French, English, German, Chinese, Spanish, Italian, Portuguese, Russian at your disposal. They are professional as well as friendly. The guided tours rotate every 20 minutes throughout the day and includes access to people with reduced mobility. At the end of the visit, you will get to the museum’s showroom, where you can buy some Fragonard’s perfumery products as little gifts for your family and friends. Different from a tourist trap, where the price is generally very high due to the large volume of tourists. In case you want to buy a gift for someone you can surely find an item or a trinket for a good price. As ParisbyM has familiarized you with some useful information about the Fragonard museum of perfume in Paris, we hope you have a nice trip! The Musée du parfume is opened from Monday to Saturday, from 9 a.m. – 6 p.m., with free entry and free guided tour. 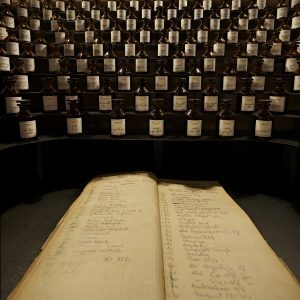 Fragonard Museum of Perfume, an olfactory trip in Paris! In Paris, we usually struggle to find a place to visit which is pleasing, delicate and low-cost at the same time. In this regard, ParisByM have recently discovered a very delightful place that will offer you a unique and memorable experience! So, let us talk you about the Fragonard Musée du parfum (Museum of perfume). 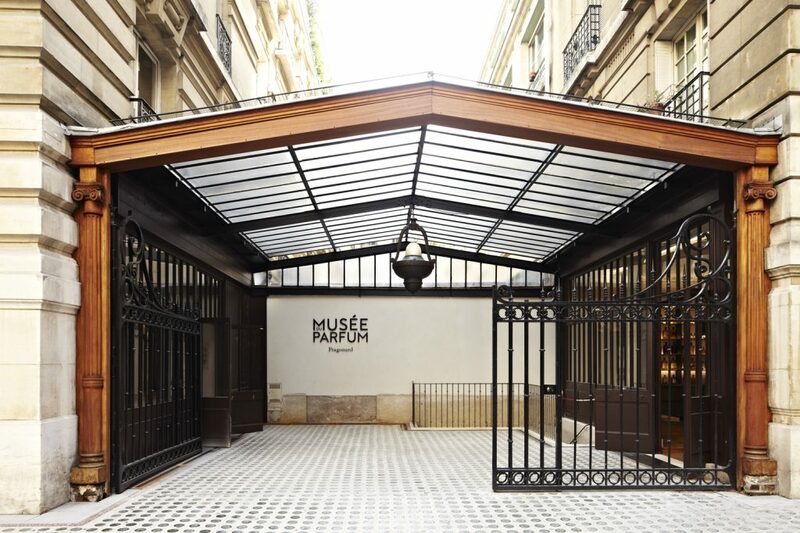 Opened by the renowned perfume house Fragonard, the Musée du parfum is situated in the middle of Paris, a stone’s throw from the Opéra Garnier. It spans over 2000 m², in the 19th century, its original form was a theater called Éden-Théâtre which later became a cycling track for the Parisians to learn how to ride bicycles. Under this thick atmosphere of history, the free admission is available for everybody. If you are not a French speaker, the museum also has the tour guides who could be able to speak your languages (English, Spanish, Chinese, Korean, Germany, Italian, Portuguese, Russain). When entering the museum, you will feel immediately the mysteriousness of the perfume which is relieved against the dim light and the retro decoration. 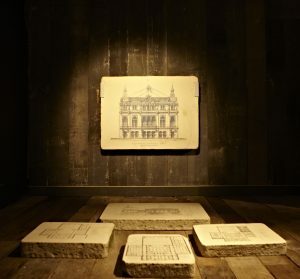 Then, a dazzling array of exhibits will jump into your eyes, especially the perfume collections and other perfumery-related objects dating from Antiquity to the 20th century which are really impressive by the first sight. 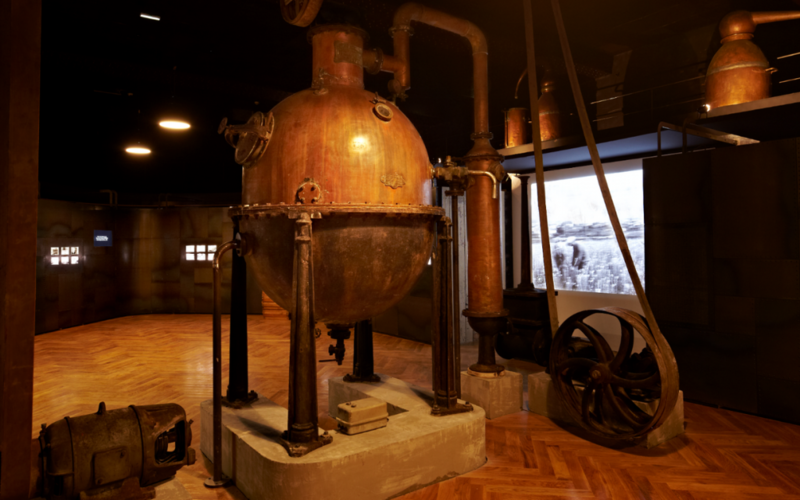 Passing through these exhibits in chronological order, you will get to know about the born of the perfume, and the different uses of the perfume until its standardization. Also, you will find that the museum is literally modernized, because not only your tour guide, but also the informative videos will be at your disposal in order to explain to you about different exhibits. As you keep going forward, you will walk into the stills room, where you will be plunged into an early 20-century alike perfume factory. The stills models are verisimilar. 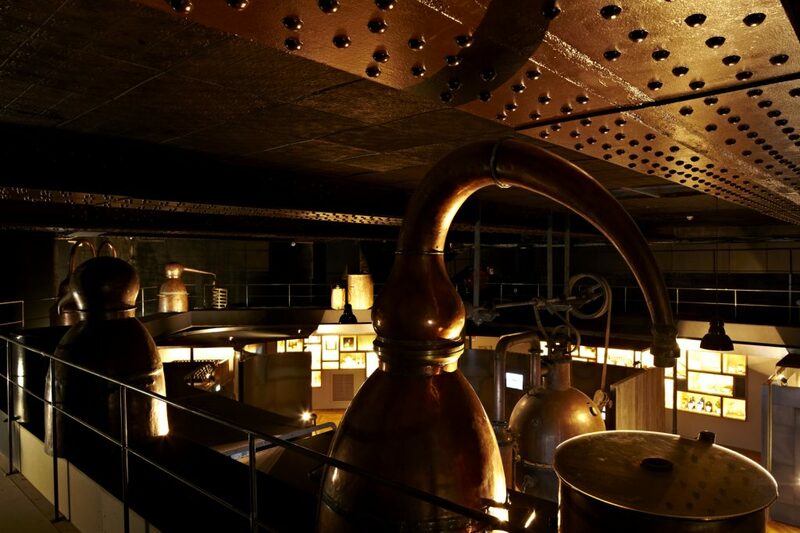 With the explaination of your tour guide, you will perfectly understand the different stages of the perfume production (from the picking to the distillation then to the bottling). Afterwards will come the very interesting part of the museum, the introduction of the profession “nose” and the “olfactory pyramid”. This part is informative and also very practical, because the knowledge acquired will certainly help you to choose your next perfume! In the end of the visit, with it comes the interaction between you and your tour guide. You will be brought into a room to play a scent recognition game with Fragonard’s products. At this point, you will truly feel the magic of the perfume by smelling different fragrances. Once the visit is finished, you will leave the museum by passing through the museum’s showroom. Different from a tourist trap, the prices are extremely attractive, the products are generally much cheaper than you had thought before, and you will not feel embarassed if you don’t want to buy anything. The duration of the visit is actually flexible, you can finish the visit within half an hour if you are in a hurry, or you can take more than an hour to invest your heart and soul into this world full of aroma and culture. A delicate museum of 2000 m², with a collection of over 300 precious objects retracing 3000 years of history of perfume as well as the secrets of the manufacture, the raw materials and the profession of perfumer. Thanks to all these rich contents, the museum offers you a simply unique olfactory trip in Paris! If you want to visit the musée du parfum, there’s no need to book, all you have to do is to show up in front of the museum reception. The guided tours are free, and they take place about every 20 minutes. By the way, if you are a group of more than eight people, you may have to book in order to facilitate the organization. Or you can just go to the reception and wait for the next guided tour.